The living room is, in many ways, the heart of our home. I mean, sure the kitchen is where we eat most of our meals, but the living room is where we snuggle up under our big furry blankets, watch movies and tv, and play board games. It’s especially memorable at Christmastime. 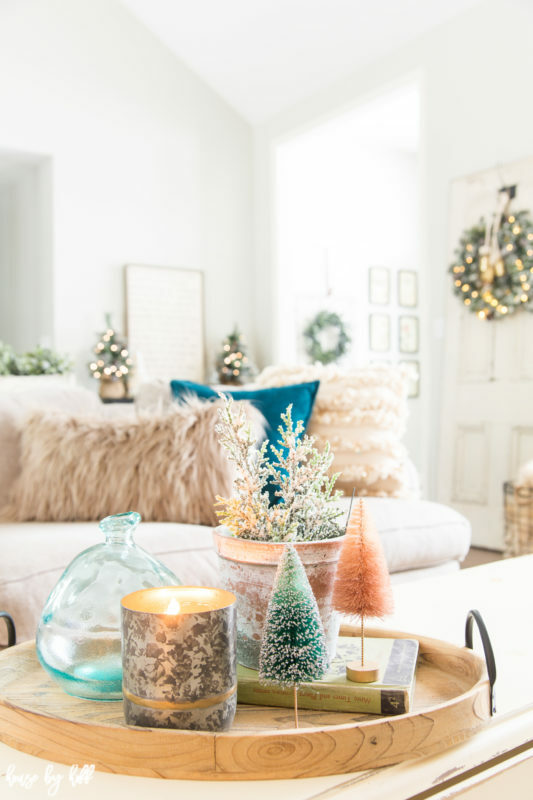 I love decorating this space with garlands, wreaths, and lots of lights! 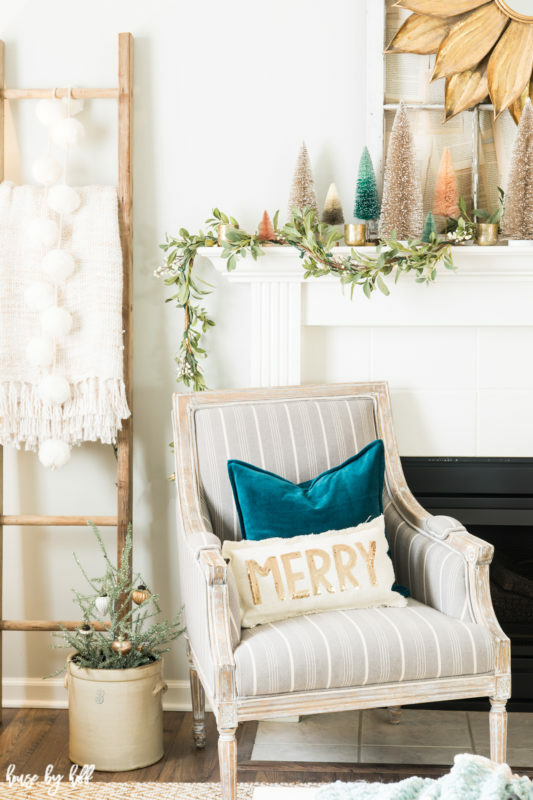 Today I’m sharing my holiday living room, in it’s entirety as part of the Very Merry Christmas Home Tour hosted by Carrie from Lovely Etc. If you’re stopping by from A Brick Home, welcome! 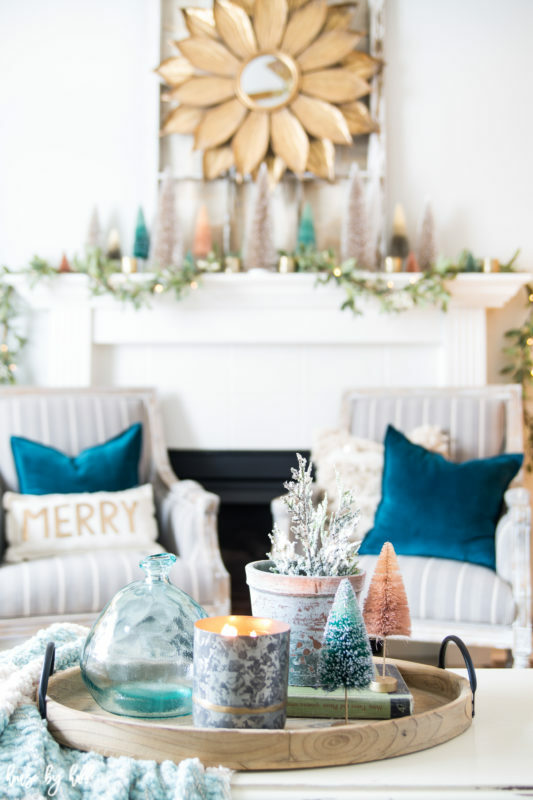 Teal and pink aren’t traditional holiday colors, but I can’t help but love how festive and happy they make each space. This tray has been the starting point for so many fun vignettes over the years! The bright pops of color make things feel so inviting. Last year I went really neutral with our holiday decor, and it was fun to add more color and character this year. Alright, so maybe I didn’t cover every space with bottle brush trees. I ran out, and didn’t have any for our console table by the entryway. No problem though! We still have trees! I kind of love the simple elegance of this little vignette! I hope you enjoyed this little tour of my holiday living room! 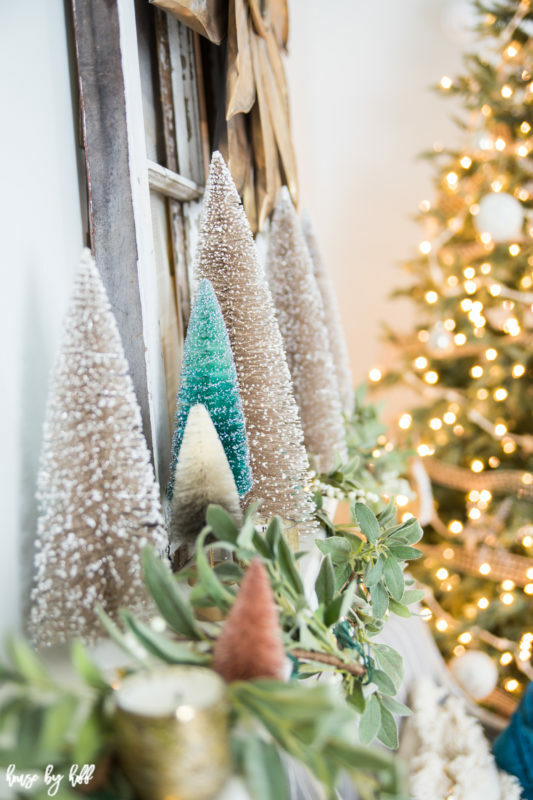 Don’t forget to hop over to my Instagram page for a giveaway of my bottle brush trees and Merry pillow! As I mentioned above, I’m taking part in a week-long holiday blog hop featuring some really fun and festive holiday spaces! Be sure to hop on over to Create and Find next! Check them all out below! I’m such a sucker for all the bottle brush trees! Your space is absolutely gorgeous! Your home looks absolutely stunning, April. Those bottle brush trees make me so freakin’ happy. Beautiful! So so pretty April! Love all those bottle brush trees! It’s absolutely beautiful April and I’m obsessed with those bottle brush trees too! 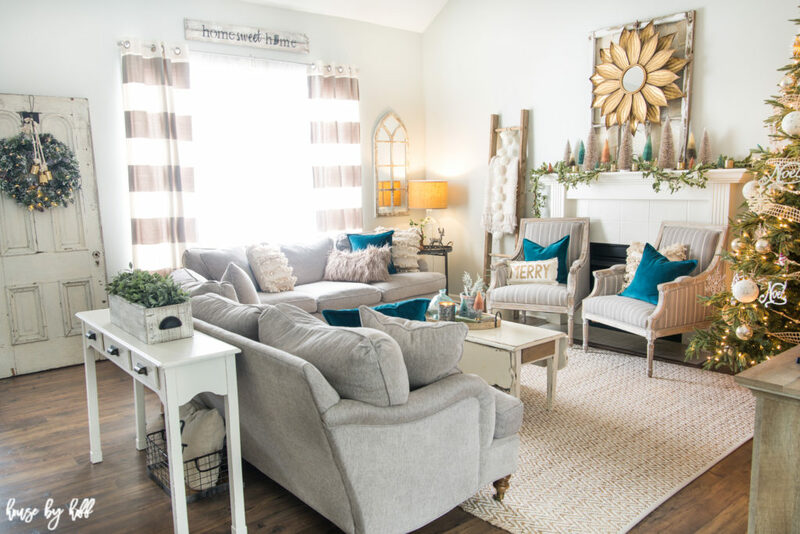 Love the pops of teal and blush. Perfect. So pretty! 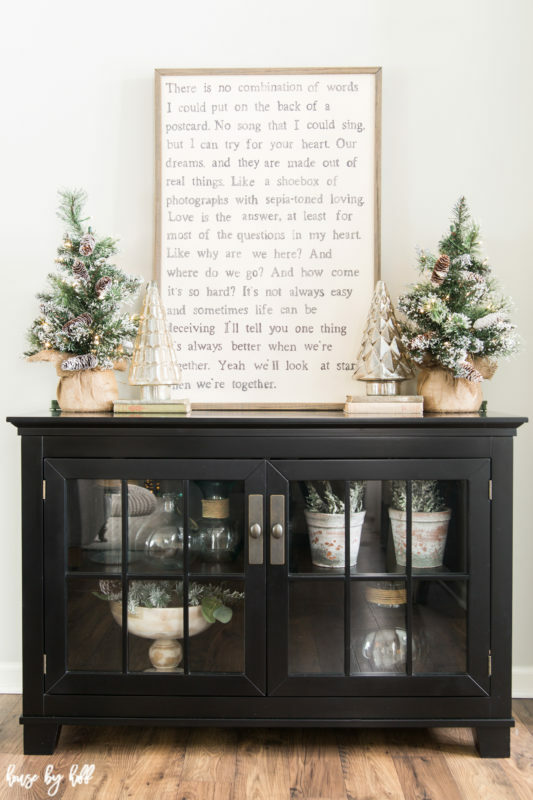 I’m loving the bottlebrush trees too and you did a fantastic job incorporating them into your decor! Your living room is perfect! 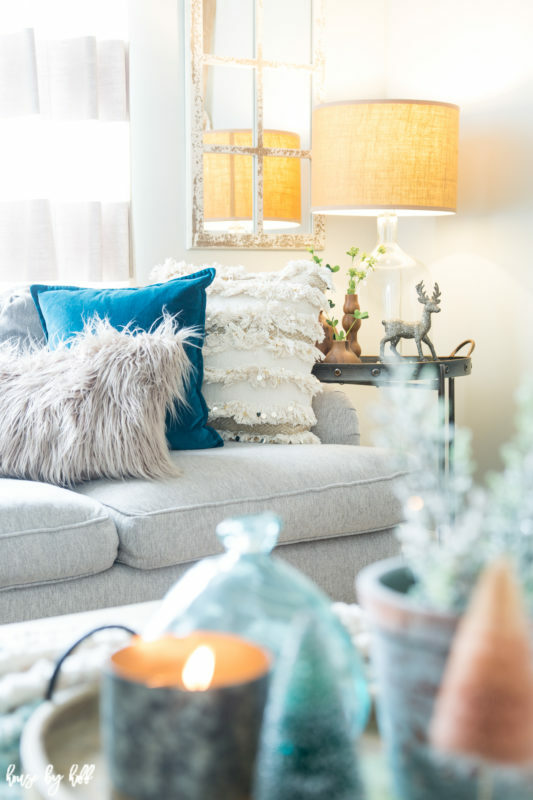 The blue pillows and of course your amazing collection of bottlebrush trees – it makes me want to inject more color into my house! Gorgeous! I am loving your pink and teal for Christmas! 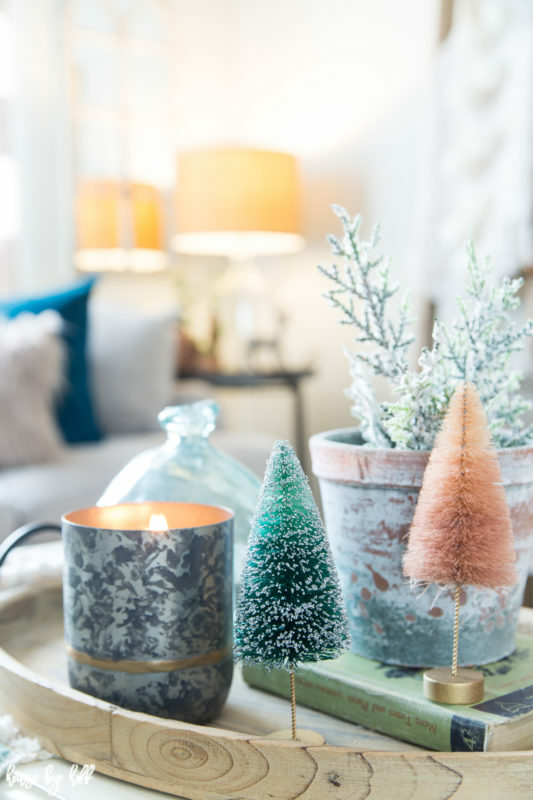 Such a stunning Christmas style with your bottle brush trees.